A timely collection of work about race and immigration in Paris by one of France's most revered cult comic book artists. Yvan Alagbé is one of the most innovative and provocative artists in the world of comics. In the stories gathered in Yellow Negroes and Other Imaginary Creatures—drawn between 1994 and 2011, and never before available in English—he uses stark, endlessly inventive black-and-white brushwork to explore love and race, oppression and escape. It is both an extraordinary experiment in visual storytelling and an essential, deeply personal political statement. With unsettling power, the title story depicts the lives of undocumented migrant workers in Paris. Alain, a Beninese immigrant, struggles to protect his family and his white girlfriend, Claire, while engaged in a strange, tragic dance of obsession and repulsion with Mario, a retired French Algerian policeman. It is already a classic of alternative comics, and, like the other stories in this collection, becomes more urgent every day. This NYRC edition is an oversized paperback with French flaps, printed endpapers, and extra-thick paper, and features new English hand-lettering and a brand-new story, exclusive to this edition. Yvan Alagbé was born in Paris and spent three years of his youth in West Africa. He returned to study mathematics and physics at the Université de Paris-Sud, where he met Olivier Marboeuf. Alagbé and Marboeuf founded a contemporary visual arts review called L’oeil carnivore and the magazine Le Chéval sans tête (“The Headless Horse”), which gained a cult following for its publication of innovative graphic art and comics. 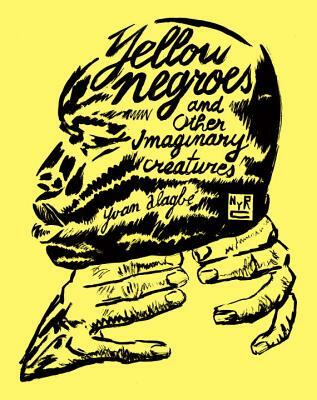 Labeling these artistic collaborations as “Dissidence Art Work,” Alagbé and Marboeuf soon founded their own publishing house, Amok, drawing from the material serialized in Le Chéval, including the first version of Yellow Negroes and Other Imaginary Creatures. In 2001, Amok partnered with the publishing group Fréon to establish the Franco-Belgian collaboration Frémok, now a major European graphic novels publisher. Alagbé lives in Paris. Donald Nicholson-Smith is an award-winning translator of French literature. He has translated Jean-Patrick Manchette’s Fatale and The Mad and the Bad, Jean-Paul Clébert’s Paris Vagabond (all NYRB Classics), and the forthcoming NYR Comics title The Green Hand and Other Stories by Nicole Claveloux. He lives in New York City.